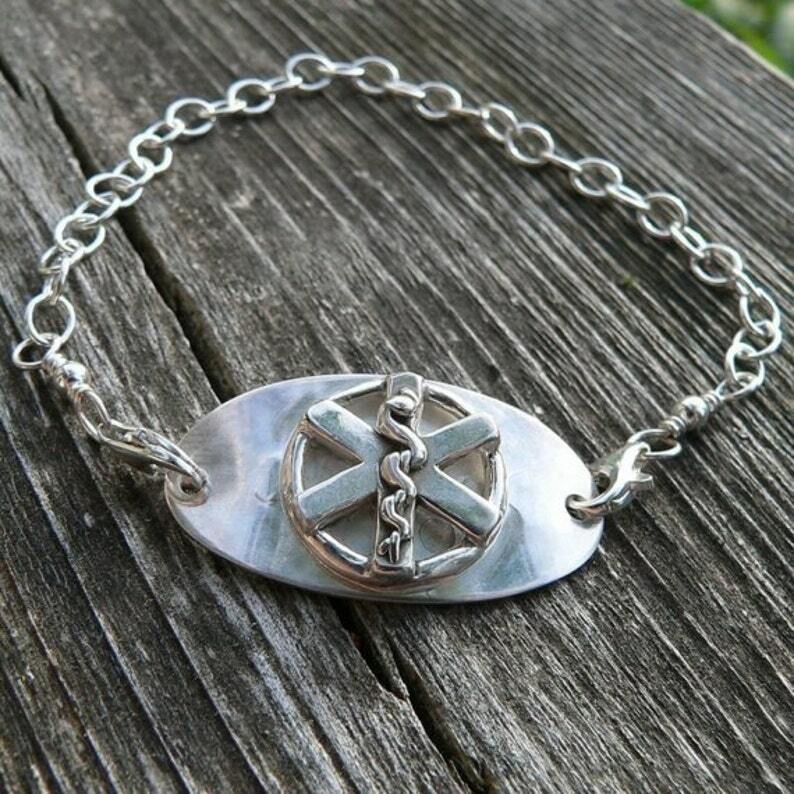 Available in many styles, this is our most basic and popular - solid sterling silver. It is hand-forged in our studio, and the medic alert symbol is raised and soldered onto a comfortably curved oval bracelet plaque. I offer optional clasps on both sides, so that they are interchangeable. The information on the back can be left in the comments. My smallest all caps font can do 5 lines of varying length, and my standard fonts 3-4 lines, just 12-17 characters each. Larger fonts not recommended unless doing just 1-2 lines of less than 10 characters.